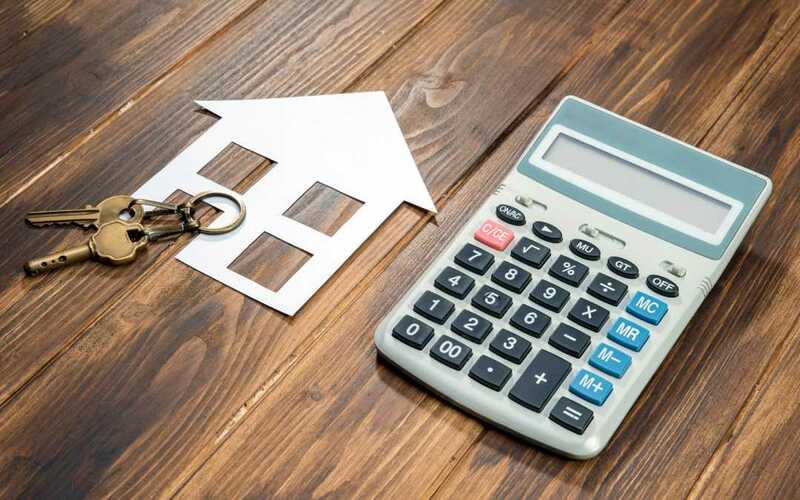 We’re have seen quite a dramatic increase of interest rates over the past two years and it’s starting to affect not only a new buyer’s monthly payment but also their ability to qualify. This has taken thousands of people out of the market and some that have lost interest in buying a new home. There are ways to solve this to make a payment more affordable, but not many typical consumers are aware they have these options because they are not educated about them. * Seller Credit – Sellers can write up in their offer that they are crediting X amount of money towards JUST buying the interest rate down. * Buying Rate Down – You can pay what are called “Points” to buy the rate down further than market. * Paying off Mortgage Insurance in Full – Rather than paying mortgage insurance monthly, you can pay it as a single premium. * Going for a longer-term loan – 40-year loans are starting to make a comeback. * Improve credit – Your loan officer can run a simulator showing what you may be able to do instantly to improve your credit. Now some of these are obvious directions while others you may not have thought about before. Below we are going to break down each one of these options more in detail to explain how they benefit your payment and possibly the interest rate. I have been having many seminars with real estate agents who have noticed a little slower market than usual because of buyers shying away from properties because of the high monthly payment. Instead of lowering the price of their property, they can provide a seller credit to specifically go towards buying down the buyer’s interest rate. 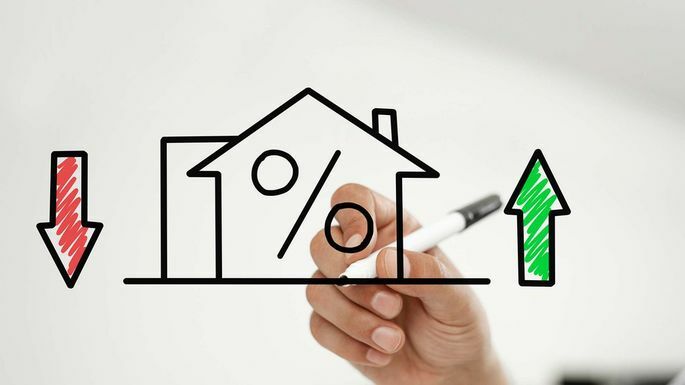 Let’s say that seller provides a 2% credit towards buying the interest rate down, that can lower the interest rate in some cases a full percentage point ultimately saving the new buyer a significant amount of money monthly. The seller also wins in this case because they sold the property, they didn’t have to reduce the price of the home but provided a benefit to the future homeowner. This tactic is widely used by new home builders for a couple reasons. One of the main reasons is so that you use their lender and get the profit of the loan as well as the sale of the new home. There’s another reason and that’s making sure you qualify. 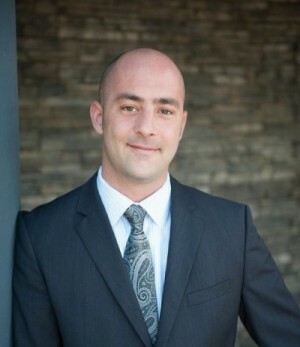 They know the lender that they work with is going to give them accurate information, Joe Smith broker down the street may have just generated a pre-approval without verifying information. Most homeowners today are used to having such low-cost loans and associate discount points (or points) to “Oh crap, that’s going to cost me a lot of money”. What you first need to understand is that if you are buying discount points, it’s usually to lower the interest rate and not necessarily profit that goes to the broker or lender that you’re working with. This tactic is used if you believe that interest rates are not going to get any better over the next few years, which at this stage I don’t believe that will happen. To determine if buying the interest rate makes sense you want to divide the cost of it by the amount you will be saving per month. For example: if your payment savings is 200.00 per month and it costs 9,000.00 to get the interest rate lower, 9000.00 / 200 = 45. 45 is the Number of months that it would take you to recover from buying the interest rate down (or a little less than 2 years). If you believe you’re going to be keeping your home loan for longer than 2 years, it makes sense to buy the interest rate down. This only applies if you are putting less than 20% down. If you’re putting less than 20% down, typically you will have monthly mortgage insurance that is a payment in addition to everything else. Basically, it’s insurance to the lender in case you default on your loan. What you can do is pay the mortgage insurance in a lump sum, called a “Single Premium”. Just like the monthly payment, it will be based on your credit, how much you are putting down and how many people are on the loan. The single premium may be 4000.00 to eliminate a 100.00 mortgage insurance payment. I use the same math as the example above when determining if this direction makes sense looking at the short and long-term benefits. These are starting to make a comeback and I feel like it’s going to be sooner than later. We have Non-QM lenders already offering 10-year interest only, 40-year amortized loans. That means that the first 10 years are a very low payment (only paying the interest on the loan), once the 10 years are up your loan is amortized over 30 years and the payment will adjust to being higher as you will now be paying the loan off. An example of this type of product would be a HELOC only HELOC’s are 30-year terms, 10 years interest only. Once that HELOC adjusts, that payment is going to skyrocket into a 20-year loan which causes most people to investigate refinancing. Having a 40-year loan will lessen the blow when the loan adjusts. My honest opinion is that we’re going to see Fannie Mae and Freddie Mac at some point come out with a 40-year loan to make payments more affordable for the millennial generation which is now part of the largest homebuying group in America. This is a given, the terms that you receive for a new mortgage are based heavily on your credit score. What is also very unknown when you are a consumer are the tools your mortgage originator has to help you boost your credit. We have credit simulators that can tell us what steps you need to take to improve your credit score. Once you take those steps we can force the creditors to update the bureaus through a system called “Rapid Rescore”. Most consumers will have no idea what this is because it’s very costly on the lender’s side. However, if you can benefit a credit score by paying off or down a couple small liabilities and get them a better interest rate – you will have a client for life. In the past, I was the guy that had the low credit score. Don’t be afraid to talk to a lender/loan officer like me when it comes to these issues. We have seen it all and can guide you best to reach that dream of owning a new home. [email protected] and I would be happy to go over a few scenarios with you. Buying a home after you have gone through a foreclosure, short sale, or bankruptcy and or foreclosure can be tough but not impossible. 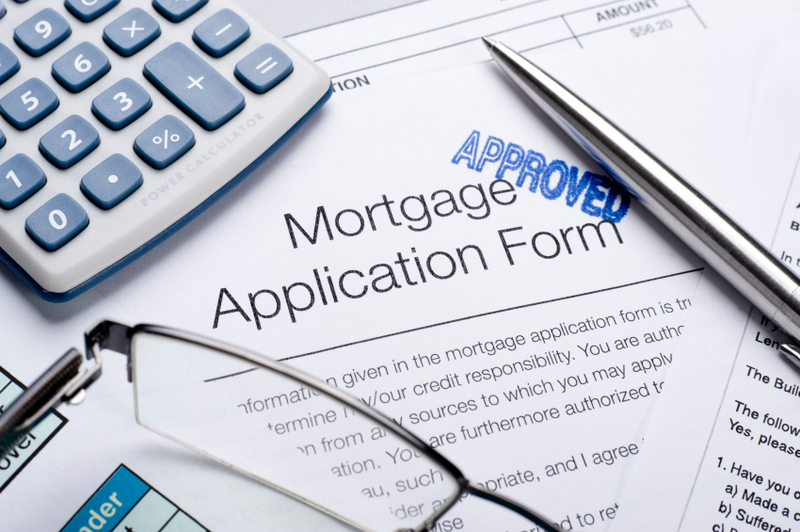 The facts are that there are lenders who may offer you a new mortgage almost immediately as long as you qualify. I know because I’m a loan officer who has successfully assisted dozens of borrowers across the U.S. with these loans. In this quicky 5 minute article, I would like to show you how you can qualify and the various mortgage programs available in 2018-2019 with as little as 10% downpayment. · Foreclosure – No Waiting Period, 20% down for Financing Immediately after Foreclosure, 10% down once 2 years have passed from the event. Credit requirements also apply. · Short Sale – No waiting period, min down payment 10% with a FICO of 680, 15% down 660-680 and 20% down below 660. · Bankruptcy/Pre-Foreclosure Sale, Foreclosure & Deed-In-Lieu – No waiting period, 20% down for immediate financing, 10% down after 2 years. As you can see, you definitely have some options. Now, I would like to go over some more of the details and other loan programs that are available so you understand how these loans work. Some lenders are willing to lend to borrowers immediately after a foreclosure. These mortgages are provided by portfolio lenders like us who keep their loans in-house and do not sell on the secondary mortgage market. Therefore, they are not subject to the same waiting periods or guidelines set forth by Fannie Mae. This is not an FHA loan or a conventional mortgage backed by Fannie Mae or Freddie Mac, this is a “portfolio loan” program that is not sold on the secondary mortgage market – therefore, is not required to abide by government regulations. The lender will keep the loan on their books, and because of these requirements can be more stringent than a traditional mortgage. Since these loans are considered a higher-risk due to the recent foreclosure, we will require a larger down payment of 10-20%, and will likely only have limited adjustable-rate (ARM) programs available. There are specific requirements for purchasing a home immediately after foreclosure, keep in mind that each applicant is carefully reviewed on a case-by-case basis so these loans will not be available to everyone. This new product is an evolution of our current product called Homeowners Access that now only requires 10% down once you’re ONE day out of short sale, 2 years past foreclosure or other economic event. We’re excited to announce that this is a portfolio product of ours only available through our channel. What do you need to know about how to qualify for this loan? 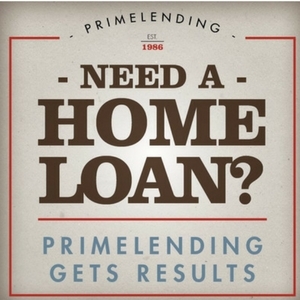 This is a great addition to our suite of mortgage products that we have available today. VA loans are a popular option for anyone who is a current or past Service member and is eligible under VA guidelines. This special loan program offers 100% financing (no down payment required) and is available just 2-years after a foreclosure or short sale. VA stands for ‘Veterans Affairs’, as VA loans are specifically intended for Veterans and Service Members who possess a valid Certificate of Eligibility (COE). VA loans typically refer to home loans given to qualified veterans through the Department of Veteran Affairs who is the guarantor of these types of loans. They are usually considered easier to obtain than traditional mortgages, although there still remain specific qualifications to be eligible. VA loans can only be used to finance the purchase of a primary home. This loan type is not eligible for use when purchasing investment properties, or even vacation homes. Many members of the military may qualify, however, this is by no means a guarantee. You will still need to meet specific loan, credit and income requirements to confirm your eligibility. For most conventional loan programs, the waiting period to purchase a home after a foreclosure is seven years. This is the standard waiting period required by Fannie Mae, a government-sponsored enterprise (GSE) that purchases a significant amount of residential mortgages in the U.S. However, for borrowers who have experienced a hardship that was out their control (extenuating circumstances), the waiting period may be as little as 3-years. Extenuating circumstances may include an extreme illness or accident resulting in severe injury, or death of borrower (or contributing spouse). Unfortunately, lenders no longer consider a divorce an extenuating hardship when looking to get approved for a new mortgage. Interest rate increases due to ARMs and temporary job losses are also not considered an extenuating circumstance. If the foreclosure was out of your control and you did experience one of the hardships listed above, you’ll need to supply specific documentation supporting your claim in order to avoid the 7-year waiting period. Such documents may include medical bill/records or a death certificate showing that the borrower or spouse is indeed deceased. Even then, you are only eligible to obtain a new mortgage if you have successfully re-established your credit score and maintained other debts on time. After the foreclosure, immediately begin setting aside funds to save for a down payment. If you have to find a rental until you are eligible for a new purchase, find a place that’s well within your means so you can stash away your extra earnings. 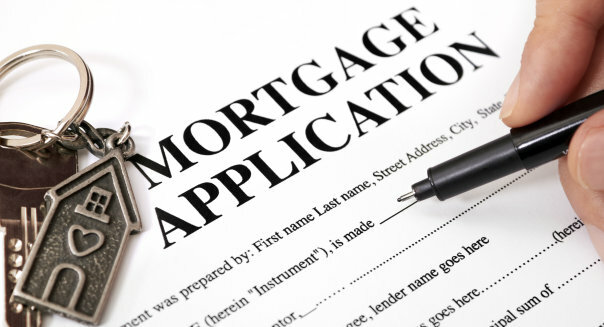 A borrower’s employment history will always be closely examined when applying for a mortgage. 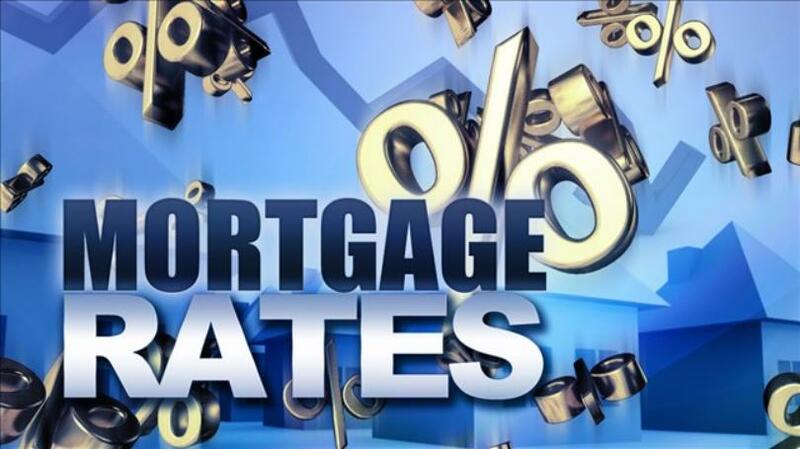 Most lenders will require that you show a stable employment history for the last two years to qualify for a mortgage. Any lender will need to ensure that you are not a “high-risk” applicant before approving the loan. There are many ways to increase your credit score after foreclosure – some easy solutions may include taking out a secured credit card, where you make a deposit and your credit limit is based off that amount. Paying off all purchases on the account will show your ability and willingness to repay other debt you have acquired. You will also need to do is focus on rebuilding your credit score and establishing a solid payment history. Witnessing thousands of homeowners go through the foreclosure process over the last decade here in the LoanSafe forums, we’ve found that the average hit to a borrower’s score ranges from 80-150 points. Do you need some expert help? If you have any questions about these programs or would like a free analysis of your credit situation, please give me, Erik Sandstrom a call at 619-379-8999. 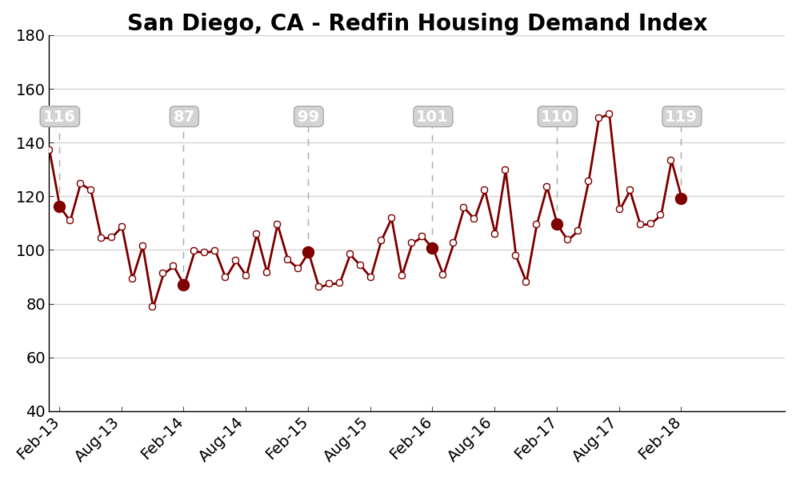 Housing demand in San Diego, California dropped approximately 19% month over month to 119 in February, according to the latest Index report released this week from Redfin. The fall in demand was due to the lack of supply of homes currently available for sale. 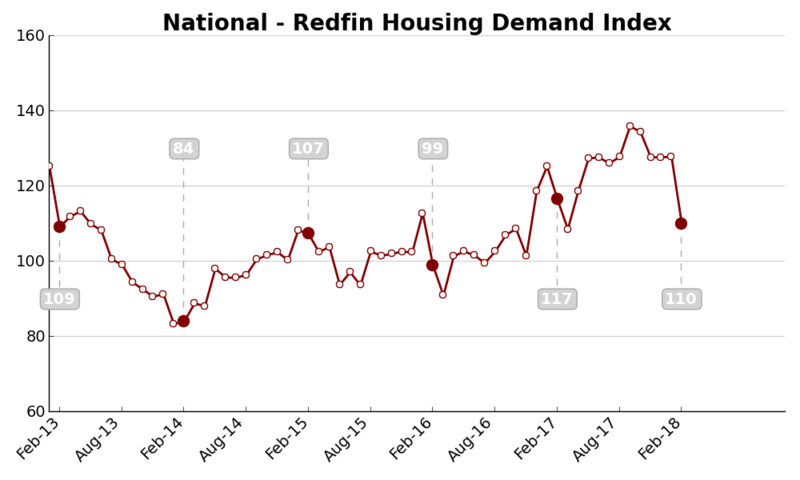 I released the National Index from Redfin which showed a 14.1% month over month – the lowest level of homebuyer demand in 11 months. Housing demand dropped 14.1% month over month to 110 in February, according to the latest Index report released this week from the Seattle based online real estate brokerage, Redfin. 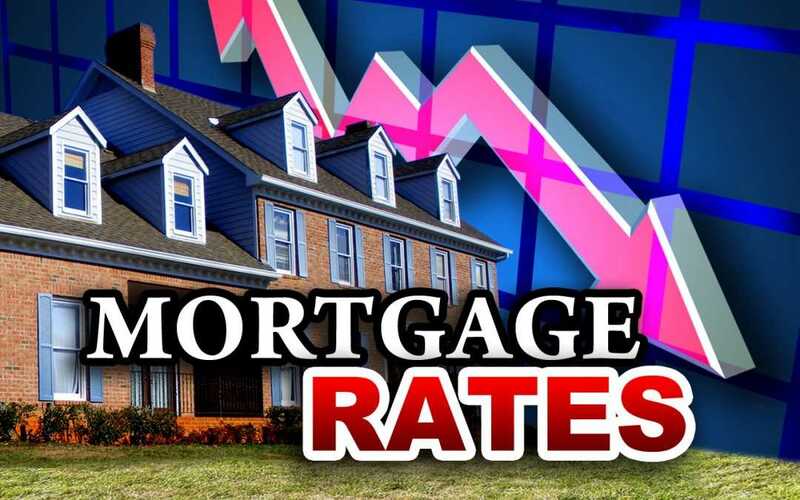 Mortgage rates remain steady for the week ending March 22, 2018, after increasing the previous week for the first time in 2018, according to the latest Freddie Mac report. Can I defer a mortgage payment? What does loss mitigation mean?